What is tailgating or Lane hogging? Tailgating is the dangerous practice of following very close to the vehicle in front. In most circumstances a proper gap is 2 seconds long or one yard for every mph (these are two different ways of expressing the same distance). Do not be a tailgater! Leave a proper 2 second “time to react” gap under all normal circumstances, and more in bad weather. Some drivers almost ask to be tailgated. The unnecessarily slow car holding up a queue on an A road. The outside lane hog on a motorway who fails to move over despite faster traffic behind and clear lanes to his left. The ignorant tailgater is unaware of the danger he is causing. The aggressive tailgater is using his vehicle to intimidate. The impatient tailgater simply wants to get ahead of you. The momentary tailgater is usually a heavy goods vehicle (HGV) trying to preserve hard won speed. The deliberate tailgater may be an advanced driver occupying the so-called “overtaking position”. Ideas of how to deal with tailgating. Try to banish all thoughts of right and wrong. Do not get angry. Concentrate instead on the safety of you, your passengers and your vehicle. Try to do whatever you can to get rid of the tailgater as soon as possible and minimize the risk of him running into you until he’s gone. Try to do your best to make a difficult situation safe. Remember it does not matter at all if he gets in front of you. In fact you’re better off if he does, because he’s dangerous and if he’s in front you can keep your eye on him and leave safe gaps. If you can’t stop, pull left or turn off for a while (no lay-bys, junctions etc.). In this case double the gap in front and “drive for him“. You were originally leaving a safe two second gap. While the tailgater is stuck behind you leave a four second gap. Now, if something goes wrong in front you can brake very gently for two seconds to warn the twerp behind of the danger. You “pass back” your spare two seconds to the tailgater. Two vehicles with a four second gap in front is almost as good as two vehicles who both have two second gaps. Don’t try to teach him a lesson. Do not increase the stress of the situation. Don’t flash your brake lights or brake suddenly. Don’t use the tactic of gradually slowing and accelerating to annoy him into leaving a larger gap or slow him down. Forget pride. Forget saving a few seconds. Drive sensibly and dump the tailgater as soon as possible, congratulate yourself when you have done so, because once again you have used an advanced driving practice to make a potentially dangerous situation safe. These strategies are easy, they work and they don’t increase anyone’s stress. Drive safely! 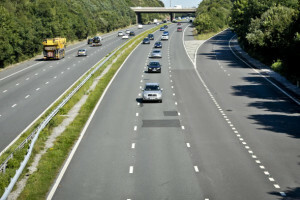 People who “hog” the middle lane on the motorway could now be fined £100 and given points on their licence. But why is staying in the middle lane a bad thing? The reason for middle lane hogging on the motorway? ‘It saves me changing lanes,’ say motorists. Middle lane hogging is probably one of the most infuriating of motorway driving delays – an otherwise open road blocked by a middle lane “hog”. Now, new research has found six out of 10 motorists admit to being middle lane hoggers, as well as shedding light on their justification for the dangerous and selfish practice. One in 10 drivers confessed they hogged the middle lane – even if the inside or “slow” lane was clear – “always” or “regularly”. A poll of more than 2,000 drivers found 43 per cent of hoggers said they drove in the middle lane because it was an “easier way to drive” and “saves me changing lanes”. The second most common explanation was “I only do this when the road is quiet” – an explanation offered by 38 per cent – while just under a third insisted they hogged the middle lane “without realizing”. Middle-lane “hogging” has gone on for years. It’s common to see a situation where the left-hand lane is relatively empty but cars are still sitting in the middle lane instead of just using it for overtaking. 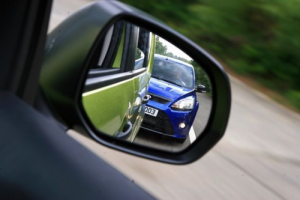 With “undertaking” [overtaking to the left of a car] frowned upon in the UK, middle-lane driving can annoy many people.